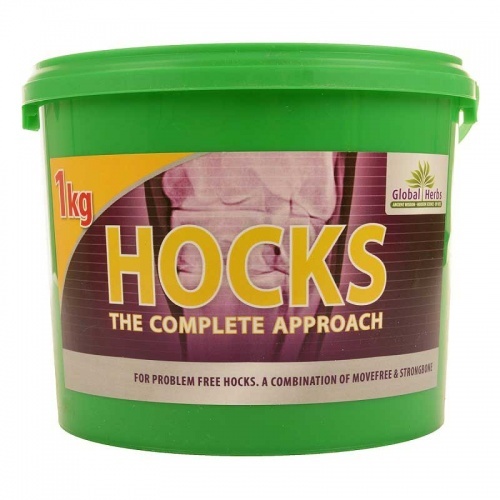 Hock sfrom Global herbs is a complete approach to hock mobility for horses and ponies. Most joint supplements do not provide adequate support for th hock joint due to not providing the correct nutrition for bone structure, lubrication and comfort. Hocks is a combination of StrongBone and Movefree and can be used to support all joints.